RainShadow Labs manufactures oil-free lotion, natural lotion, and organic lotion. These lotions, body butters, and moisturizers use natural ingredients to nourish and refresh tired and compromised skin. They won’t clog pores; instead, they work at a cellular level to regenerate young, healthy, firm skin. Whether you are looking for a light moisturizer to use daily or a heavy night cream for deeper nourishment, we have the moisturizers you love and that will keep your customers coming back again and again. Breathe new life into your old skin care regimen with organic and natural ingredients that promote gentle healing and moisture retention. These lotions can protect against environmental damage, calm rosacea flare-ups, soothe sunburns, and minimize shaving bumps. With so many environmental factors constantly assaulting and drying out your skin, it can feel hard to keep up with your skin care needs, much less spend more time and money on products and extra skincare steps. However, investing in high quality organic lotions as well as properly using the lotion in your skincare routine will allow you to need to apply it less while simultaneously having your skin looking and feeling softer and more hydrated than ever. When you use products from RainShadow Labs you are giving your skin the hydration and attention it deserves. Our products are packed with active, natural and organic ingredients that penetrate to the cellular level and help restore your skin from the inside out. Learn more about the benefits of using organic lotions over other brands, the products we offer and the custom manufacturing options we offer clients. One of the primary benefits of using organic lotions is the action packed ingredients contained within them. Many lotions contain only trace amounts of the active ingredients that are supposed to help your skin and are sometimes filled with irritating and even dehydrating chemical substitutes that end up harming your skin in the long run. When you use high quality organic lotion, you do not need to apply it as often as other lotions because the ingredients are actually hydrating and moisturizing your skin. Organic lotion is best applied right after showering or bathing, as your skin is still warm and pores are open. This is important because it helps the active ingredients better soak into your skin. Many of our organic lotions are scent free if you have easily irritated skin. We also offer products scented with pure essential oils making you look and smell your best when wearing our lotion. At RainShadow Labs we like to use proven, natural ingredients that are as good for the environment as they are for your skin. We are a zero-waste, wind-powered facility that aims to keep our production practices as green and organic as our products. Not only do we offer wholesale natural and organic skincare, we also offer private label services that include custom formulation and contract filling so you can private label the skin and body products you want and successfully sell them to your customers. Learn more about how you can custom manufacture and private label your own products but contacting our skin care specialists today! It doesn’t matter if you have soft or dry, oily or rough, moisturizing your skin is helpful to your health. Skin will naturally start to dry as the day goes on, and if you live in less humid areas this can be heightened. This roughness of the skin can cause you to develop a itch, which will only be worsened were you to start scratching it. However, were you to apply some high-quality lotion this won’t be a worry for you. Trying to find the perfect lotion can be a difficult process for yourself or store. Luckily, RainShadow Labs provides a list of services for consumers, businesses and entrepreneurs. We can offer you our products in wholesale so you can have enough for the rest of the month, or to stock your business for the next week. We’ll even create a customized formula for you were you in need of it. Lotion is an incredibly helpful product to use and it should be in every home. Lotions have been used for centuries, from the ancient Egyptian royals to the modern day teenager. It’s uses have aided people with all kinds of ailments. People with sensitive skin apply the liquid onto their skin to help strengthen it and prevent blemishes or flaking from appearing. The roughness you are experiencing doesn’t need to be a permanent thing were you to use the right skin care products. The vitamins frequently used in lotions help skins in their natural abilities to heal itself. Vitamins A and B5 help maintain a firm layer of skin, while also building a layer of moisture. This prevents the elastic and flexible look age usually affects. A stronger skin will also prevent tearing from occuring. Many antioxidants help with this rejuvenation, particularly; vitamins C and E. Oxidation starts to wear down the skin cells, because of the oxygen involved. This is what causes wrinkles to form, but it can be slowed. Using organic and natural lotions will be the best way to assist your skin in its health. Lotion can be a truly beneficial tool to have in your repertoire. However, it’s important to choose the right type of items, because there are many with harmful substances. These chemicals are capable of helping you out at first, but can cause your skin to rely on these products, or worse, damage your skin. Here, at RainShadow Labs, we only use natural and organic ingredients to ensure quality is at its best. Being located in St. Helens, Oregon, has allowed us to continue this practice for over thirty years. We are able to look to local farmers to find the freshest materials, as well as grow our own. Granted, St. Helens can’t grow everything in existence, which is why we have partnered with farmers all over the world to ensure you get the finest ingredients. We have a wide arrangement of useful tools for you to use, but some of our most popular lines of lotion will be able to do the trick. Our most popular item is a basic all purpose lotion. It will deeply penetrate your skin to ensure maximum moisturization, without leaving the greasy feeling many other companies have. This lotion is so powerful it will even stay on after you’ve washed your hands, but can be cleaned off in the shower. It’s even on whole foods list of approved products, because of its effectiveness and beneficial ingredients. Our coconut milk and honey lotion is another favorite among our consumers. The use of coconut milk helps replenish your skin to its natural glow and keeps it silky smooth. The honey helps bind the cream into your skin. Of course, not everyone wants an all body lotion, which is why we also provide people with facial moisturizers. Our day eye moisturizer helps those with sensitive skin around the eyes. Many people experience a drying around their eyelids and on them, this can start to affect their self-conscious. The use of this lotion will help prevent the dry look normally seen, as well as prevent wrinkles from appearing. It doesn’t matter what your ailment is, we’ll have something for it. Understandably, you might love these products, but might not want to buy it individually; you don’t need to anymore. Where Should I Buy Bulk Organic Lotions? RainShadow Labs hasn’t just been making high-quality skin and beauty products. We also sell them in bulk so you have the possibility to resell them if you need to, or just want to have enough for the next month or two. Wholesale may seem like a risky step to take on one product, but it can lead to many positive opportunities. One of the most notable possibilities is creating a new, top-of-the-line item everyone wants to use. This will not only increase your revenue, but you will be saving hundreds buying in wholesale. Running a business can be difficult; you need to deal with manufacturing, marketing and distribution. We’ll handle the manufacturing part, freeing up a third of your time. The only thing you’ll need to do is work on the marketing and the distribution, while we create an amazing product. We’ve only been able to do this for thirty years because of our guaranteed satisfaction working with us. Contact us now for a private label consultation or to learn more about our wholesale program. 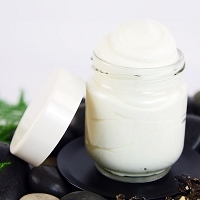 If you are interested in our organic lotion products, want more information about our ingredients and which product might be right for you contact us today!